I bought two (2) new motorbikes and I had to conduct my break-in of the first 500 kilometers for both bikes. 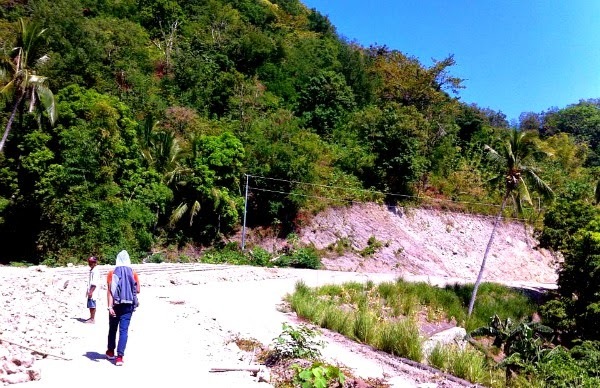 The choices were Lemery, Batangas; San Pablo, Laguna; Los Banos, Laguna; Tagaytay, Cavite; or Laiya, Batangas. We were supposed to be three in this adventure. Unfortunately, my nephew, Dale, had a last minute task to accomplish and so only Edison Molina was able to join the joyride. And I chose to go to Laiya, San Juan, Batangas. From Tanauan City, we sped off towards San Juan, Batangas, passing Lipa and then Padre Garcia and cruising at the speed only of 50-60 kilometers per hour. Originally, the plan was to leave 11:00 am but we had to change the plan and we left past 9:00 am. We arrived at Laiya, San Juan past 11:00 am and though it was not part of the plan. 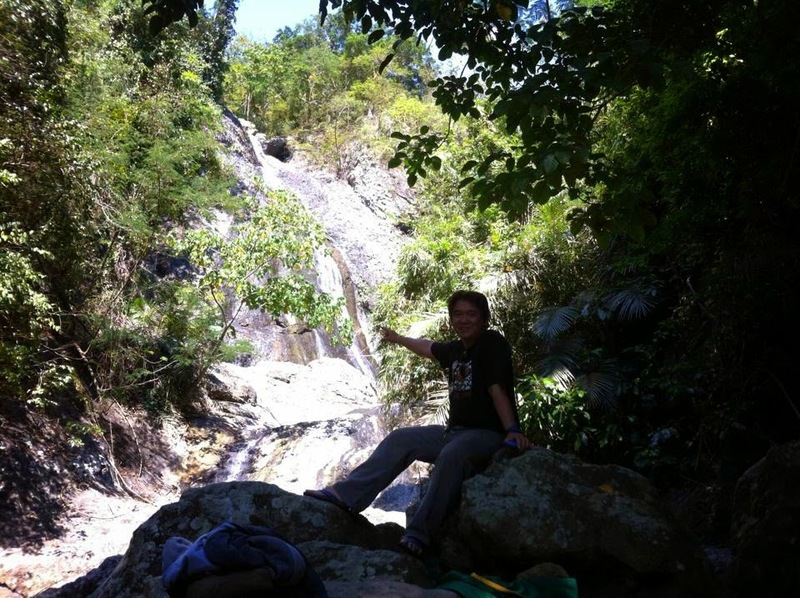 I asked Edison if he was interested in seeing Naambon Falls in Laiya and without hesitation, Edison nodded. 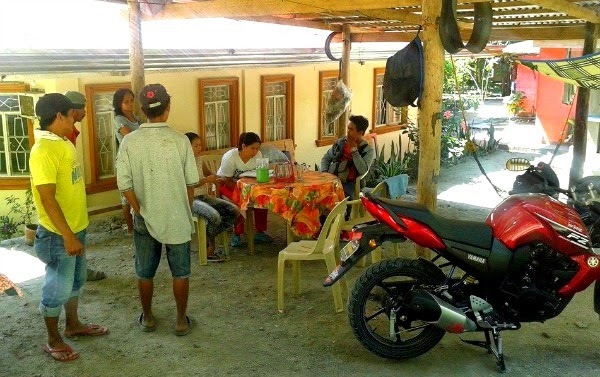 We arrived the jump-off point (the barangay waiting shed) at made the necessary inquiry. Ride the bus going to Batangas City or Lemery. Bus terminals are either at Cubao or Buendia, Pasay-Taft. The bus companies servicing the route are Alps, Ceres, Jam, DLTB, and Batangas Express (Starex). Alight at Lipa City, fare is around P150. Travel time is more or less 2 hours. 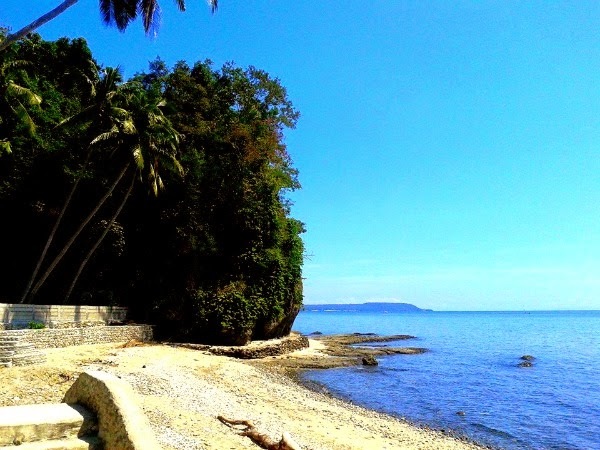 Then, take the van or jeepney ride to San Juan, Batangas, fare in the van is P70. Travel time is more than an hour. Alight at Barangay Hugom. Then, take the tricycle ride to Sitio Biga for P100. Alight at the barangay waiting shed. Going back to our inquiry, we found at that the spot is also the jump-off point to Mt. Daguldol. 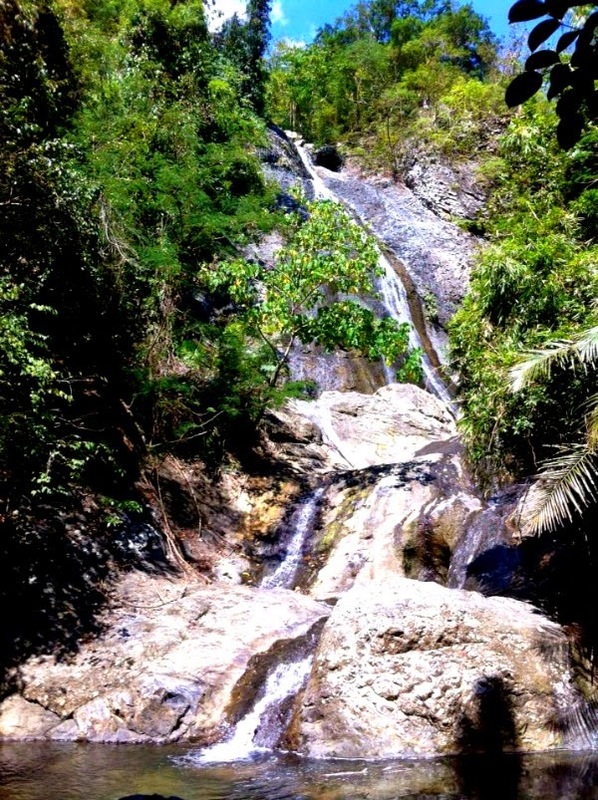 But we went to Laiya not for hiking but for its water falls. Hike to Mt. Daguldol is 4-5 hours depending on your pace. 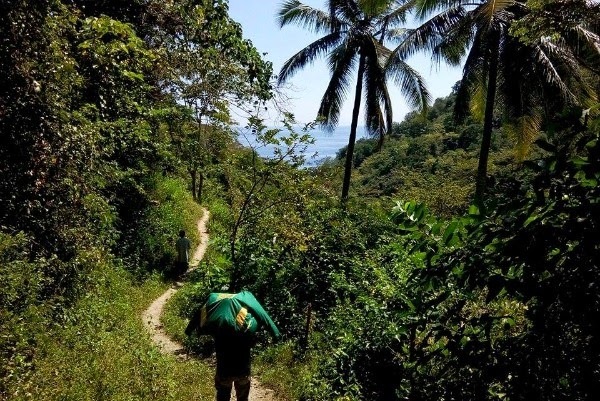 Professional hikers can take the trek in 3 hours. Again, we went to Laiya for its falls and we were able to get a discount of only P200 for the guide after asking many times for a discount. According to our guide, the hike is good for 30 minutes. 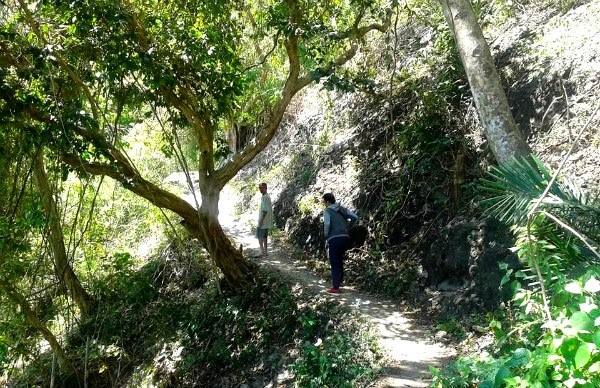 And it was 12:15 pm when we left the barangay shed and started our trek towards the falls. It was really hot that day and the sky was painted blue. My companion, Edison, was not in a habit of climbing mountains but he was able to get use to it in a couple of minutes. 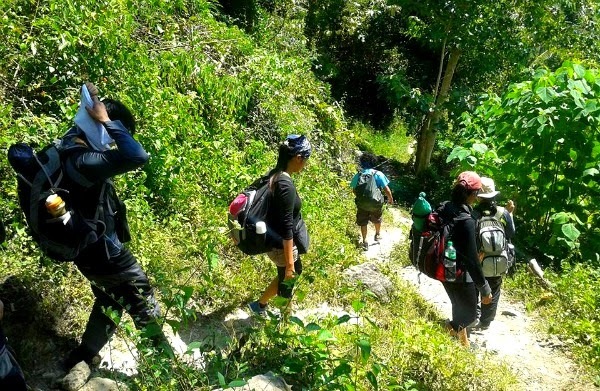 Along the trek, we encountered several groups of mountaineers who spent the night at the top of Mt. Daguldol. After 25 minutes, we reached our destination. Good thing we went on the month of February because according to our guide, during summer season, there is hardly any water flowing from the top. Best time to go here and see the might of the falls is during rainy season. Though the water of the falls was not strong enough, I still enjoyed the adventure! I've been planning so many times to go to this falls and finally, it happened. Going back was more difficult! I did not even have any hat to protect myself from the heat of the sun. We took our lunch at the barangay shed and then went to Candelaria, Quezon to continue our break-in.